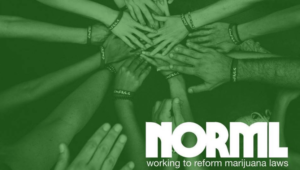 The National Organization for the Reform of Marijuana Laws (NORML) is pleased to announce our endorsement of the MI Legalize 2016 initiative to regulate the adult use, production and retail sale of marijuana in Michigan. MI Legalize, also known as the Michigan Comprehensive Cannabis Law Reform Committee, has collected more than 270,000 signatures in its effort to legalize marijuana via the petitioning process. The grass-roots effort has been collecting signatures from registered voters since June, 2015, and represents the best opportunity to enact a regulatory system in Michigan, a state where it is highly unlikely the state legislature will take any similar action. Recent polling in Michigan indicates growing public support for marijuana law reform, including the plant’s full legalization. An EPIC-MRA poll conducted in March found 53% support for legalization, up from 50% in 2015. That poll was commissioned by Michigan NORML. 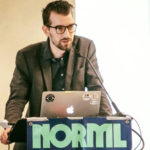 Michigan NORML’s goal is to make Michigan the first Midwestern state to legalize the adult use of marijuana. If the initiative qualifies for the ballot and is approved by the voters in the November general election, the MI Legalize proposal will be the most liberal marijuana legalization law in the United States. We invite marijuana law reform advocates across America to contribute to the MI Legalize campaign via the organization’s website, www.milegalize.com. A Michigan angel donor has made a matching funds pledge, and for a limited time all contributions received by the MI Legalize campaign up to $100,000 will be matched, and your contribution will have twice the impact. Please support the MI Legalize marijuana legalization campaign in Michigan.